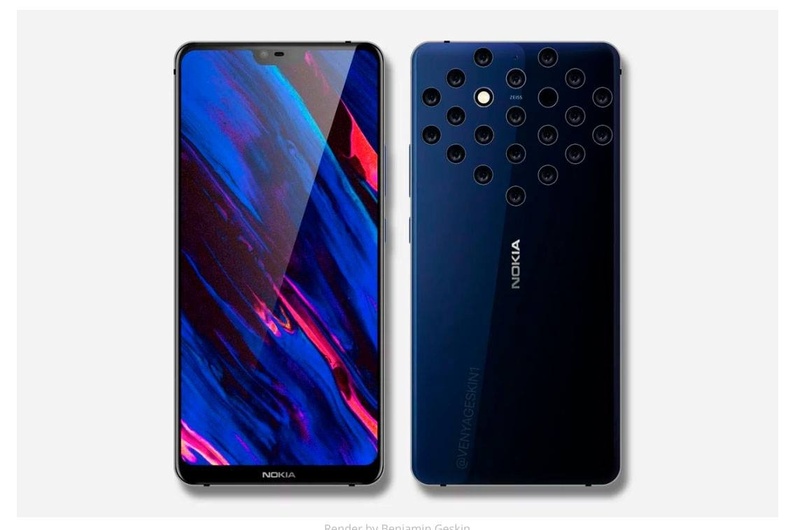 As you can see from the leaked images, the cameras on the upcoming Nokia phone are arranged in a circle, with a small LED flash to complete the circular shape of the arrangement. There’s a prominent Zeiss sign as well, since Zeiss and HMD Global (which produces Nokia phones) teamed up last year. You may remember that LG was recently rumored to have five cameras in their next flagship smartphone. However, it’s supposed to have three cameras on the back and two on the front. The rear set of cameras will probably be something like we’ve seen in HuaweiP20 Pro. As for the dual front camera, it would allow 3D mapping of the face. As for Nokia’s five-camera phone, it’s not clear exactly what features they will provide. But according to Handility, the phone was certified in China way back in May. I believe we’ll get to see what Nokia is up to in the upcoming months. And I do wonder how the quintuple camera will perform compared to the triple camera. And how it will compare to the rumored nine-camera smartphone we might see from Light. But one thing is certain – the world of smartphone cameras is definitely becoming more interesting and advanced at a fast pace.